Concrete homes, those constructed from pre-cast reinforced concrete (PRC), although relatively rare in terms of overall numbers of dwellings, probably still account for around 200,000 UK homes. Obtaining mortgage lending on these concrete homes is not a simple matter and this is due to their history during which they were considered “defective” en-mass. Following the war and during the 1950s and 60s there was a high demand for housing stock to replace damaged buildings and home recently reunited families. One solution to this need for quick and inexpensive construction was the use of precast concrete properties. These homes could be built off-site in a component format and then put up quickly, reducing build costs. There were many different types of construction, perhaps more than 250, although only somewhere under 100 were used commercially. By the advent of the early 60s, there was a further surge of demand for concrete homes and other systems came in from abroad which were partially redesigned to fit UK legislation and climate. The bulk of these overseas systems were used for high-rise buildings. The Ronan Point collapse of 1968, following a gas explosion in East London, gave rise to an enquiry that identified that precast buildings may have inherent problems in their construction. The Ronan Point enquiry identified that shortcuts during construction were to blame and caused a public suspicion of concrete buildings. This led to a review of precast concrete building systems, demolition of some properties, and strengthening of others. Since much of the concrete housing stock was used for public housing, the right to buy programme of the 1980s led to widespread repair of concrete buildings financed by government grants. These grants ceased some 10 years later, leaving occupiers facing the entire bill for repair themselves, and some properties considered un-mortgagable by lenders. 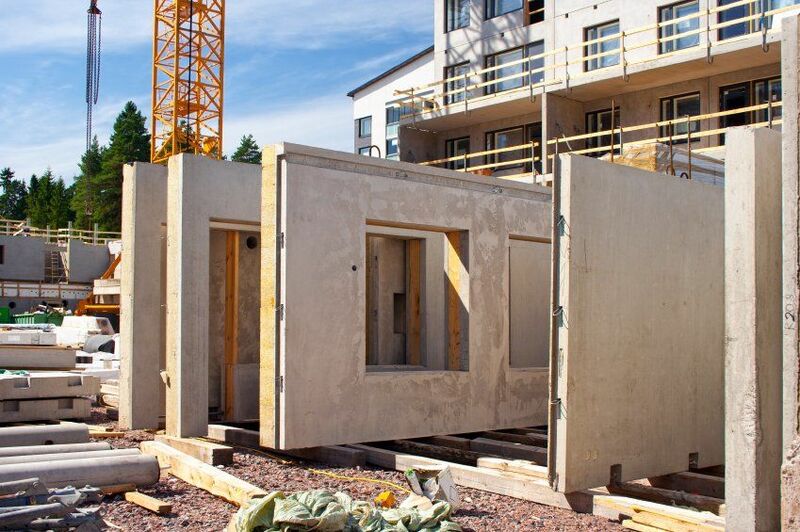 It is possible today to find precast reinforced concrete houses which are 50 or more years old, some 30 years older than their original intended lifespan. They will be priced favourably compared with standard brick and tile properties of similar size and there is a reason for this. Many houses that spent a long time in local authority hands may have been repaired cheaply and will be of concern to a surveyor. Modern repairs on these properties will include a lot of work not only to strengthen the construction but also improve energy efficiency which is particularly poor in concrete homes. If you own, or are considering purchasing a pre-cast reinforced concrete home you should be aware that raising mortgage funding can be difficult – also you will be asked for paperwork confirming that suitable ‘repair’ of your home has been completed. To arrange a mortgage or remortgage on a pre-cast reinforced concrete property you will need to present the lender with a PRC completion certificate. A PRC completion certificate is confirmation that a structural engineer has visted the property and confirmed that strutural repair work has been carried out to the standards of PRC Homes Ltd (now NHBC) Scheme. Since PRC completion certificates often get lost, there is an option to obtain a retrospective certificate from various specialist companies. To obtain lending on a pre-cast concrete property you should look to use an independent mortgage broker with experience in this area.